Palm oil, particularly virgin or “red” palm oil, is a traditional fat that has been a part of the human diet for at least 5000 years. For generations red palm oil has been revered as both a nutritious food and a valuable medicine. It was prized by the pharaohs of ancient Egypt as a sacred food. The oil was so highly valued that it was entombed with the pharaohs so that they would have access to it in the afterlife. Palm oil comes from the fruit of the oil palm (Elaesis guineensis).Originating in tropical Africa, it has now spread throughout much of world. Today it is an important crop in Southeast Asia, West Africa, and South America. Throughout history palm oil has served as the primary source of dietary fat for countless numbers of people. Its nutritional and healing properties have been recognized for generations. 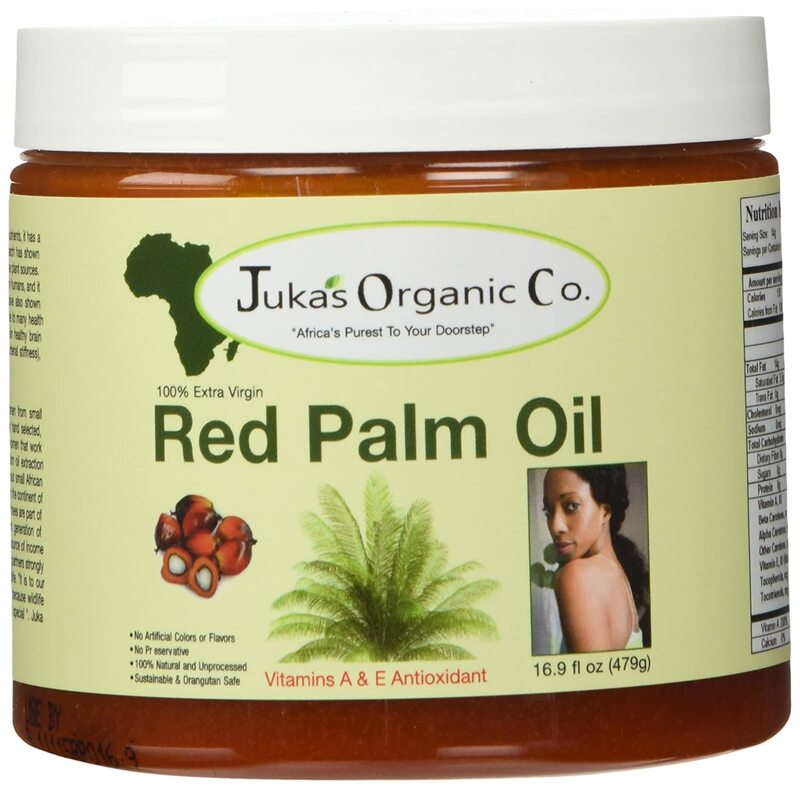 Until modern medicine arrived, red palm oil was the remedy of choice for nearly every illness in many parts of Africa. When someone was sick, downing a cup full of palm oil was common. Even today many people in the villages rely on this age old method of treatment. Palm oil is regarded among many as essential in the diet for pregnant and nursing women in order to assure good health for the mother and child. Today, medical doctors are recognizing the value of red palm oil in the treatment and prevention of malnutrition and vitamin deficiency diseases. Governments around the world are incorporating it into programs to wipe out deficiency diseases which are still rampant in many impoverished areas. 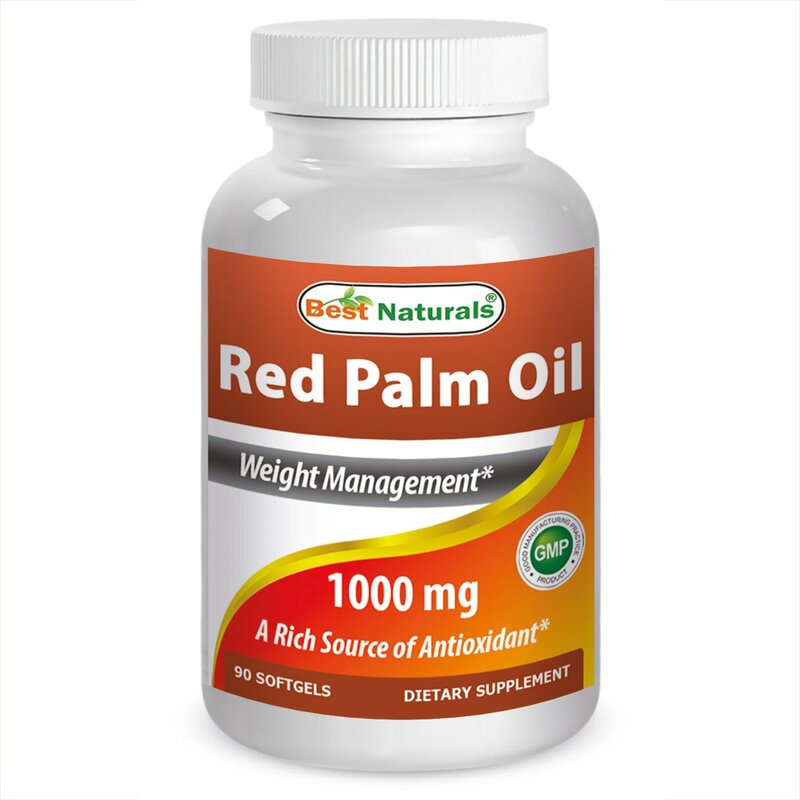 Red palm oil not only supplies fatty acids essential for proper growth and development, but it is packed with an assortment of vitamins, antioxidants, and other phytonutrients important for good health. 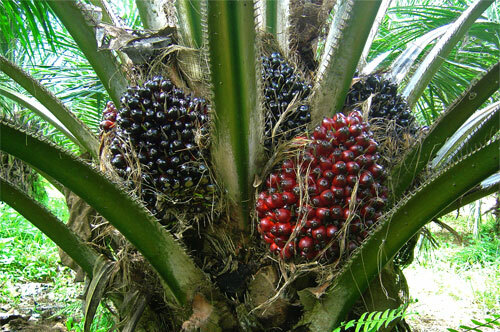 Red palm oil gets its name from its characteristic dark red color. The color comes from carotenes such as beta-carotene and lycopene—the same nutrients that give tomatoes and carrots and other fruits and vegetables their rich red and orange colors. Carotenes are valuable nutrients and powerful antioxidants. They are also important because our body can convert them into vitamin A, an essential nutrient. Vitamin A deficiency can cause blindness, weaken bones, lower immunity, and adversely affect learning ability and mental function. Vitamin A is only found in animal foods. Such foods, are too expensive for many people. Carotenes in fruits and vegetables can supply the needed vitamin A if an adequate amount of fat is also consumed. Carotenes require fat for conversion into vitamin A. Unfortunately, those who can’t afford animal products often do not eat much fat either. Populations with ample carotene-rich foods available often suffer from vitamin A deficiency because they don’t get enough fat in their diet. Red palm oil provides a perfect solution. It supplies the needed fat and vitamin A precursors. Red palm oil is the richest dietary source of provitamin A carotenes (beta-carotene and alpha-carotene). It has 15 times more provitamin A carotenes than carrots and 300 times more than tomatoes. This has made it a valued resource in the treatment of vitamin A deficiency. Just one teaspoon a day of red palm oil supplies children with the daily recommend amount of vitamin A. Nursing mothers are encouraged to supplement their diet with palm oil to enrich their milk with the vitamin. Studies show that adding red palm oil into the diet can double or triple the amount of vitamin A in mother’s milk. The children are not only getting the vitamin A they need but other important nutrients as well. Red palm oil is a virtual powerhouse of nutrition. It contains by far, more nutrients than any other dietary oil. In addition to beta-carotene, alpha-carotene, and lycopene it contains at least 20 other carotenes along with vitamin E, vitamin K, CoQ10, squalene, phytosterols, flavonoids, phenolic acids, and glycolipids. Palm oil is one of the richest natural sources of vitamin E. In addition to ordinary vitamin E, it also contains the highest amount of a super potent form of vitamin E known as tocotrienol. There are four tocotrienols. Palm oil contains all of them. 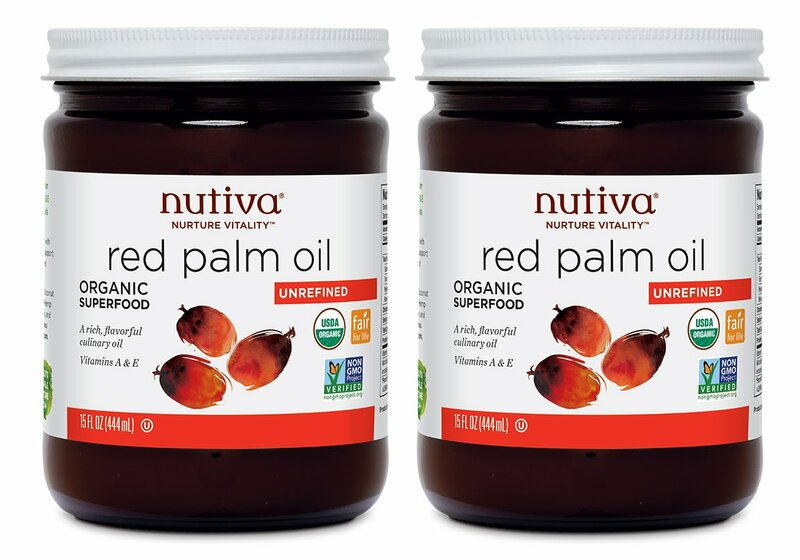 These tocotrienols have up to 60 times the antioxidant activity of ordinary vitamin E. The combination of vitamin E, tocotrienols, carotenes, and other antioxidants makes palm oil a super antioxidant food. Red palm oil is loaded with so many nutrients and antioxidants it’s like a natural dietary supplement. In fact, it is currently being encapsulated and sold as a vitamin supplement. The oil is also available in bottles like other vegetable oils for kitchen use. In government programs for the treatment of nutritional deficiencies, palm oil is simply incorporated into the food. It’s easy for a child to get a teaspoon of red palm oil when it is used to cook vegetables or bread. Palm oil is an excellent for cooking and baking. It consists of 50 percent saturated fatty acids, 40 percent monounsaturated fatty acids, and 10 percent polyunsaturated fatty acids. The high saturated and monounsaturated fatty acid content makes palm oil a very heat resistant and stable oil. It has a high smoke point of 437 degrees F. The high saturated fat and antioxidant content makes it extremely resistant to oxidation and free-radical formation. Over the past two decades researchers have painstakingly studied palm oil’s effect on cardiovascular health. The results have been surprising to researchers. Although high in saturated fat, it protects against heart disease. Studies show that adding palm oil into the diet can remove plaque build up in arteries and therefore, reverse the process of atherosclerosis. This has been demonstrated in both animal and human studies. In one study, for instance, 50 subjects were divided into two equal groups. All the participants had been diagnosed with atherosclerosis and had suffered at least one stroke. At the beginning of the study the degree of blockage of their carotid arteries ranged from 15 to 79 percent. Without any other changes to their diets or medications, half of the subjects began taking a daily palm oil supplement. The other half received placebos and served as the control. The degree of atherosclerosis was monitored using ultrasound scans over an 18 month period. In the group receiving red palm oil, atherosclerosis was halted in 23 of the 25 subjects. In seven of these subjects atherosclerosis was not only stopped but regressed. In comparison, none of those in the control group showed any improvement, in fact, the condition in 10 of them worsened (Tomeo, 1995). This study demonstrated that red palm oil can not only stop, but even reverse atherosclerosis. Removing plaque is not the only way palm oil protects against strokes and heart attacks. Palm oil can also improve cholesterol values. In a study at the University of Illinois College of Medicine, researchers demonstrated a 10 percent decrease in total cholesterol in 36 hypercholesterolemic (high cholesterol) subjects given palm oil capsules for four weeks. A follow-up study of 16 subjects resulted in a 13 percent lowering of total cholesterol (Qureshi, 1995). In another study 31 subjects took a red palm oil supplement every day for 30 days. No other changes were made to their diets. They continued to eat whatever they desired. The results showed that palm oil supplementation lowered both total cholesterol and LDL (bad) cholesterol in all the volunteers. The magnitude of reduction of total cholesterol ranged from 5 to 35.9 percent and the reduction of LDL cholesterol ranged from 0.9 to 37 percent. What was even more important was the effect the palm oil had on the cholesterol ratio. The cholesterol ratio was reduced in 78 percent of the subjects, demonstrating a highly significant and favorable response to supplementation (Tan, 1991). Palm oil helps maintain proper blood pressure. The high antioxidant content of the oil quenches free radicals and keeps inflammation under control. In one study researchers induced inflammation in the arteries of test animals. Inflammation causes swelling which narrows artery passageways, restricting blood flow to vital organs such as the heart. Half of the animals received palm oil in their diet while the other half served as the control. In the control group artery passageways were severely constricted and 42 percent of the animals died. However, those that received the red palm oil showed far less inflammation and constriction resulting in a 100 percent survival rate. Tocotrienols also strengthen the heart so that it can better withstand stress. Researchers can purposely induce heart attacks in lab animals by cutting off blood flow to the heart. This causes severe injury and death. However, if the animals are fed palm oil the survival rate is greatly increased, injury is minimized, and recovery quicker (Esterhuyse, 2005). After looking at studies like this it becomes obvious that palm oil protects against heart disease. This is confirmed in populations where palm oil consumption is particularly high. Heart disease in Malaysia, Indonesia, Papua New Guinea, and Nigeria—where palm oil is a major if not the sole source of visible fat in the daily diet—are among the lowest in the world (Sron, 2005). The high antioxidant content of red palm oil makes it a potent anticancer food. Palm tocotrienols are especially benefical in this respect. Antioxidants have long been known to offer protection against various forms of cancer. Tocotrienols being highly potent antioxidants have demonstrated remarkable anticancer properties far superior to most other antioxidants. Studies show palm tocotrienols inhibit the growth of skin, stomach, pancreas, liver, lung, colon, prostate, breast and other cancers. Most of the research to date has been done with breast cancer where tocotrienols show great promise. They not only prevent cancer from taking hold but actively block its growth and initiate apoptosis—a process where diseased cells commit suicide. This is a normal process that is programmed into all of our cells in order to remove old and diseased cells. However, in cancer cells this process is blocked and affected cells continue to multiply and grow without restraint. Ordinary vitamin E, does not induce programmed cell death in cancer cells. Only tocotrienols have this effect. Initial research has been so impressive that cancer researchers have called tocotrienols the most powerful natural anticancer substances known to science (Yano, 2005). That’s quit a bold statement, but illustrates the potential tocotrienols have in cancer prevention and treatment. 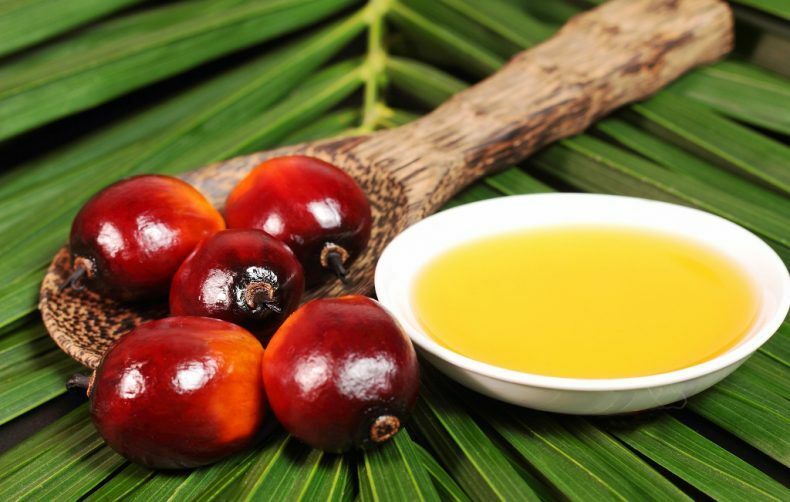 The antioxidant power of red palm oil has also shown to be of benefit in protecting against neurological degeneration. Two of the most significant factors that affect brain function are oxidative stress and poor circulation. Oxidative stress generates free radicals that damage brain and nerve tissue. Poor circulation affects the brain by restricting oxygen and glucose which are vital for proper brain function. Researchers have found correlations between oxidative stress and reduced blood flow to the brain to senile dementia, Alzheimer’s disease, Parkinson’s disease, Huntington’s disease, and even schizophrenia. All of these conditions involve brain cell death. Tocotrienols aid the brain by reducing oxidative stress and improving blood flow. Researchers can mimic much of the destruction seen in the above neurological disorders by feeding test animals glutamate—an amino acid that kills brain cells. The primary action of cell death is caused by free radicals. Ordinary vitamin E is not strong enough to prevent glutamate-induced cell death. But palm tocotrienols can quench the destructive action of glutamate. In laboratory studies tocotrienol-treated neurons maintain healthy growth and motility even in the presences of excess glutamate (Khanna, 2003). 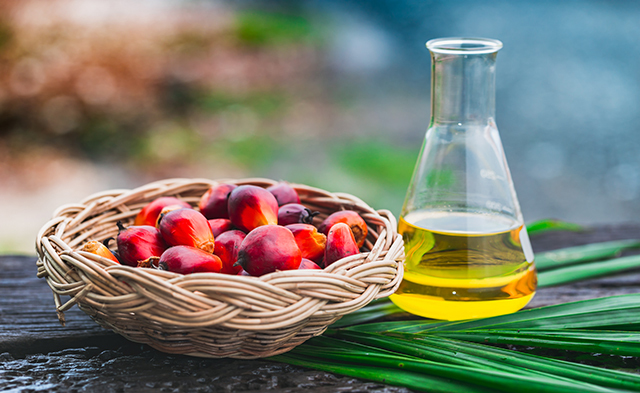 Research is showing that the antioxidant power of red palm oil can be of help in protecting against a variety of health problems including osteoporosis, asthma, cataract, macular degeneration, arthritis, and liver disease. It can even stunt the processes that promote premature aging. It’s no wonder it was regarded as a sacred food by the ancient Egyptians. Red palm oil is not just for pharaohs, it’s available to everyone. It is sold as a cooking oil and as a dietary supplement at most good health food stores and online. 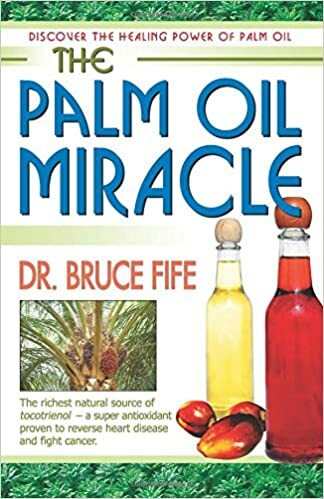 For more information about the health aspects of red palm oil read The Palm Oil Miracle by Dr. Bruce Fife, ND. Esterhuyse, A.J., et al. Dietary red palm oil supplementation protects against the consequences of global ischemia in the isolated perfused rat heart. Asia Pac J Clin Nutr 2005;14:340-347. Khanna, S. et al. Molecular basis of vitamin E action: tocotrienol modulates 12-lipoxygenase, a key moderator of glutamate-induced neurodegeneration. J Biol Chem 2003;278:43508-43515. Qureshi, A.A., et al. Response of Hypercholesterolemic subjects to administration of tocotrienols. Lipids 1995;30:1171-1177. Sron, B. Palm oil’s track record. Global Oil and Fats 2005;2:24-25. Tan, D.T.S., et al. Effect of a palm-oil-vitamin E concentrate on the serum and lipoprotein lipids in humans. Am J Clin Nutr 1991;53Suppl:1027S-1030S. Tomeo, A.C., et al. Antioxidant effects of tocotrienols in patients with hyperlipidemia and carotid stenosis. Lipids 1995;30:1179-1183. Yano, Y., et al. Induction of cytotoxicity in human lung adenocarcinoma cells by 6-0-carboxypropyl-alpha-tocotrienol, a redox-silent derivative of alpha-tocotrienol. Int J Cancer 2005;115:839-846.